Master 16 came off his bike Tuesday. Yep, boys will be boys. Silly me thought that he only had minor bumps, scratches and bruises. Emergency Room at the Hospital. He was admitted and my head hit the pillow back at home sometime after 3am! A few hours later, up again and getting the normal morning routine happening and as soon as the girls were dropped at school back to the hospital it was. It always pays to have a hand sewing project ready to grab as you run out the door. Master 16 is now at home resting for the next week. One very lucky boy. Lesson learnt by me, NEVER rule out internal injuries. 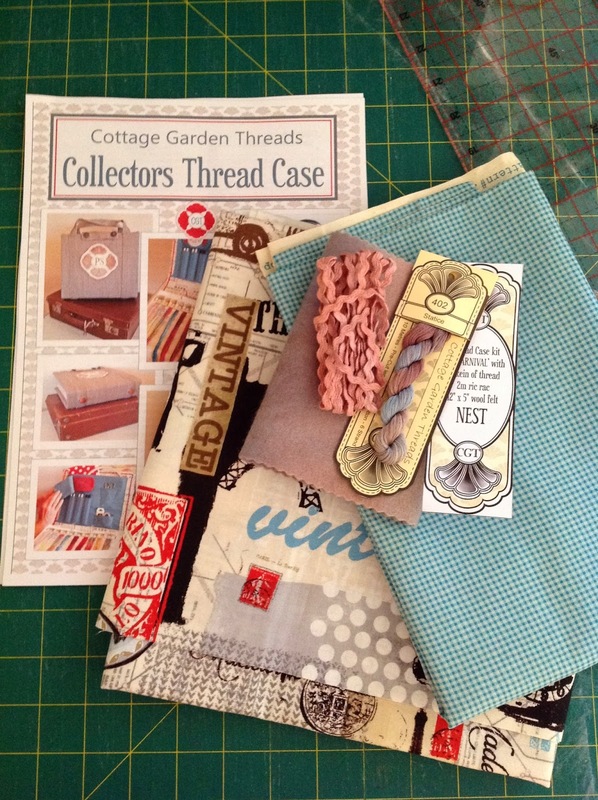 Also, month 2 of the Cottage Garden Threads Club is out. 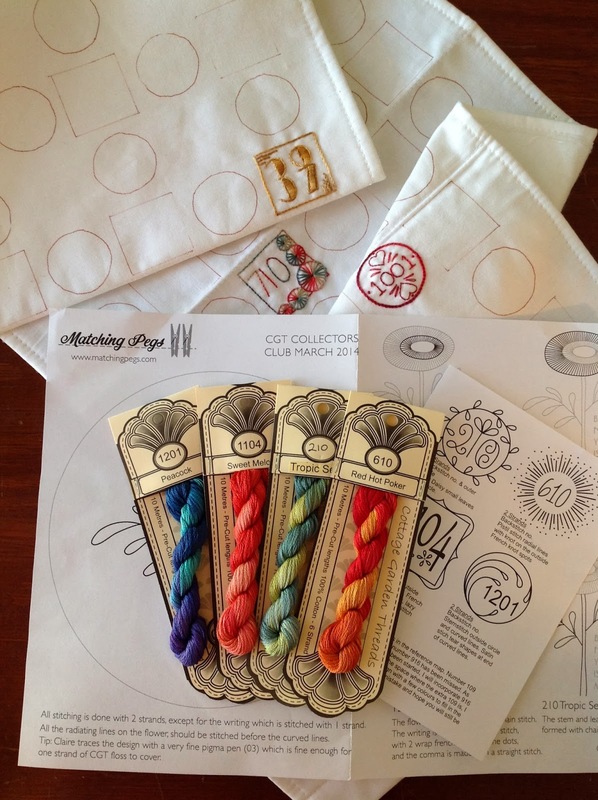 Which also means that the pattern for the Thread Case is available. These are my fabric selections. I plan on making a start on this over this long weekend. So glad the drama had a good result and A is back home safe and resting. Gorgeous projects as always. Happy he's on the mend. Look like some great projects going there. 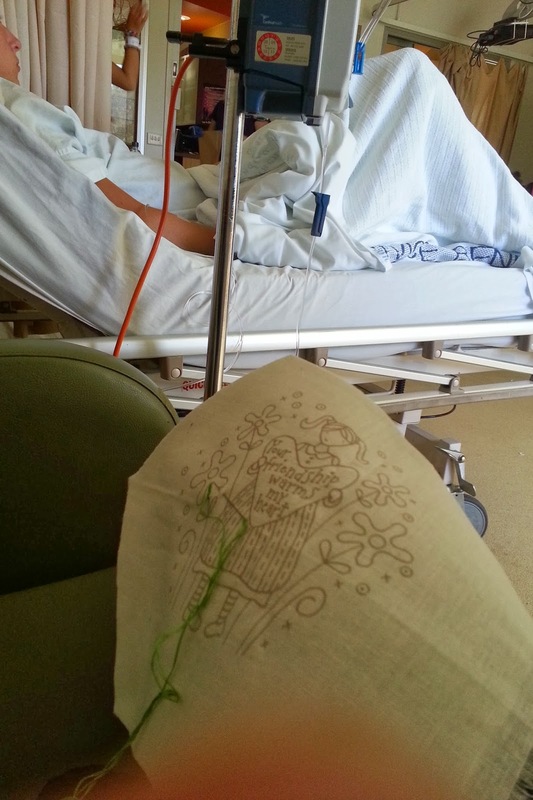 Good to know he is now on the mend...and you are right boys will be boys...I don't think they ever outgrow that either....those needle minders are so very cute....hope you got some rest after all the excitement at your place. Sorry to hear about you son. Lovely fabrics for thread collector case. I hope your son is okay now and that you managed to make the bike disppear for a while. That club looks great. Beautiful threads. Love to see the collector case when it is finished. So glad to hear your boy is ok. Glad to see you had something ready to pass the time away. Glad your baby is ok! Love the colours you have chosen for your thread keeper. So glad your son is okay Sharon - what a fright it must have given you. Lovely fabrics for your thread keeper. So glad your boy is on the mend! 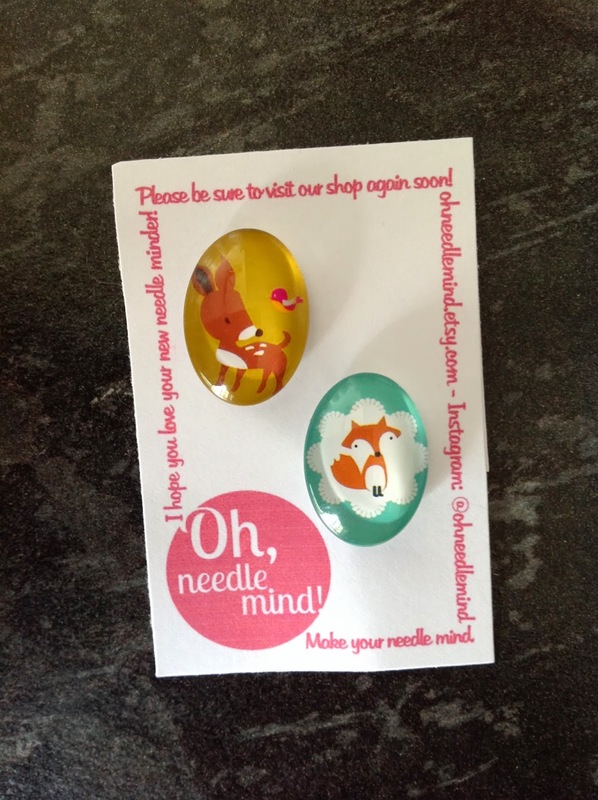 Are the needle minders magnetic or something? They are cute! A hospital visit can be a bit of a reality check! So pleased your son is home and on the mend. I wish him a speedy recovery. Good to see some retail therapy happening as well. So glad all is ok with your son. I'm sure some sewing helped ease the wait. Love your CG project.